Across the American economic landscape, companies are searching for ways to reduce costs and keep their workers healthy and productive. Too often, the causes of absenteeism, injuries, and chronic pain lie in the workplace itself. Each industry carries its own unique challenges, but the underlying truth remains: poorly designed tools and workspaces, along with repetitive or overly strenuous tasks performed in uncomfortable positions, can impede your workers’ ability to do their jobs effectively. When injuries occur, they carry significant costs from workers’ compensation and healthcare, putting your company at risk of major financial challenges. Fortunately, the field of ergonomics has helped organizations to address these issues and create a more stable financial outlook. A healthier workforce is always more productive, and when chronic pain and injuries are removed from the equation, companies can truly flourish. While each ergonomics program must be tailored to the company in question, research has demonstrated common effects across industries, leading to reduced injury rates and happier, more productive workers. The impact of pain is affecting organizations in multiple ways. The field of ergonomics, though proven to reduce one-time injuries, focuses chiefly on preventing reoccurring injuries and mitigating chronic pain. This is accomplished through a balance of workplace design, optimized equipment, and even adjusted job specifications. As such, a proper ergonomics assessment begins with observation and analysis of the work environment. 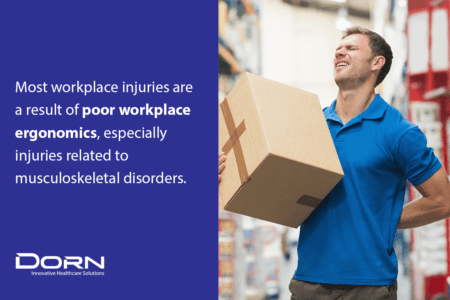 Most workplace injuries are a result of poor workplace ergonomics, especially injuries related to musculoskeletal disorders. For example, a 2016 study by the US Department of Labor has shown that up to 30% of back injuries leading to potentially unnecessary surgery could be prevented by improved workplace design and ergonomics. An ergonomic assessment can illuminate opportunities to improve employee wellness by isolating key factors like poorly fitted equipment and unsafe, outdated work practices. 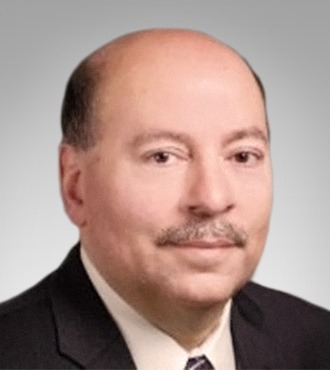 Assessors and Certified Evaluators can collaborate directly with employees, using an educational and cooperative approach that takes into account each employee’s experience, age, and physical capabilities. This communication is critical; without an open culture of continuous improvement, employers may face resistance from experienced employees, leading to increased risk. One medical company needed ergonomics so much that its employees had begun to refer to its offices as “the dungeon.” Reports from the site demonstrate how conditions had become almost unworkable: loud noise, cramped workspaces, dust, mold, and repetitive work tasks led to extreme discomfort among employees, who suffered a staggering 15 percent ergonomic injury rate. The worst of the conditions appeared in the company’s call center, where irregular updates and renovations made without a long-term employee wellness strategy, created major problems for workers. An open office layout led to extremely tight workstations, which contributed to neck and shoulder injuries while preventing janitorial and IT staff from doing their jobs effectively. Worse still, the call center employees suffered allergies and other illnesses, leading to a major uptick in absenteeism. After an ergonomic assessment, the company instituted several changes to improve the ergonomic quality of the work environment. Shoulder and neck injuries vanished after height-adjustable desks were installed, and a new floor plan created greater privacy and added much-needed storage space for the workers, improving morale and productivity. Finally, the company introduced sustainable woods to eliminate volatile organic compounds (VOCs) in the air, which helped to address the high rate of employee illness. The end result was a reduction in complaints from four per day to zero. Another company saw its productivity double after ergonomic improvements were implemented. A die cast manufacturing plant in central Ohio enjoyed major financial rewards after investing in ergonomic solutions, with a one-time cost of $495,500 that spurred annual benefits of $1,910,000 over a span of ten years. The factory had already implemented some ergonomic solutions for its workers, but further analysis led to even greater improvements. In fact, objective analysis is the cornerstone of any ergonomics program. Once you have collected both subjective and objective data, it’s time to take a step back and assess what you’ve learned so far. Is there injury risk at this job? What is the level of risk? How can the risk be reduced? Improvements at this factory included pallet lifts to reduce the time employees spent bent over carrying weights, which dramatically reduced back and shoulder conditions among workers. With a full ergonomics program, the plant reported major improvements in virtually all financial categories, with workers’ compensation costs dropping by 93 percent, absenteeism falling by 67 percent, and productivity rising by 54 percent. It’s a perfect example of how minor changes, including healthy workstation design and a careful understanding of the physical tasks that lead to injuries, can dramatically change the human and financial outlook of an organization. 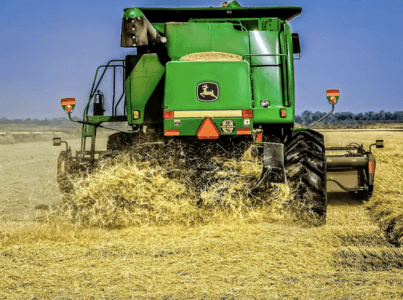 A final example of how ergonomics can reshape a workplace occurred at Deere and Company, the well-known farm equipment manufacturer. This case study illustrates the necessity of including your workers in the early stages of an ergonomics program. The workplace athletes performing the job each and every day are uniquely qualified to help you assess the job. They are the experts at their job. Involving them in the assessment process can generate helpful improvement ideas and gets the workplace athlete’s buy-in early on. They are much more likely to adopt changes to their work environment down the road if you involve them early and often. At Deere and Company, assessors recommended changes in the construction department that would limit the physical toll taken on workers performing their routine tasks. Analysis and feedback from workers showed that lifting heavy objects was common, while poorly designed tools contributed to repetitive motion injuries. Further, observation revealed that Deere and Company was losing money on reduced productivity due to the work environment. Workers’ compensation costs increased by 15 percent each year, and high numbers of first-aid cases led to staggering health care costs and huge losses in productivity due to absenteeism. However, a new ergonomics training program helped Deere and Company to reduce their injury rates and provide a healthier work environment for its employees. The course covered common issues, many of which appear at companies across industries. Are there any heavy or strenuous lifting/lowering tasks in the job? Do the hand tools they use have an awkward grip? Is the height of the work comfortable for them? Do they experience fatigue and discomfort doing the job? 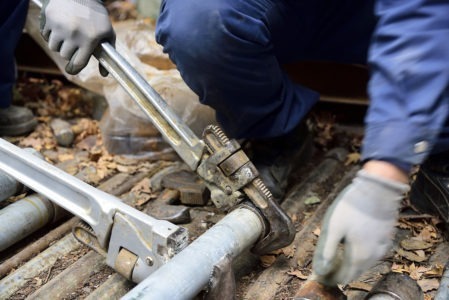 These questions were addressed and the root problems corrected with redesigned workspaces and new hand tools to help workers avoid strains and stress injuries. After implementation, Deere and Company reported an 83 percent reduction in back injuries, along with a 32 percent drop in health care compensation over the last ten years. By involving workers early in the process, the company came to understand the issues on its job floor and learned to address them in detail. These case studies demonstrate not only the power of an ergonomic plan—they also illustrate how engaging directly with employees and understanding the challenges they face can inform a successful ergonomics program. Working with employees for their own health empowers them to take charge of their wellness, leading to a supportive workplace culture and a workforce that stays on the job without interruption and monetary loss. DORN Companies employs several Certified Industrial Ergonomic Evaluators located nationally to help with ergonomic analysis. From quantitative assessments to implementation of wearable technology and training courses to help your employees become ergonomically aware, we have a solution for all your ergonomics needs. Click here to learn more about DORN’s ergonomic solutions.